Our train went from the urban terrains of London to the countryside speckled with sheep and then through some rolling hills that coughed us up at Bristol Temple Meads station. It was like the red carpet was pulled out. The station’s majestic edge was something that immediately struck me. 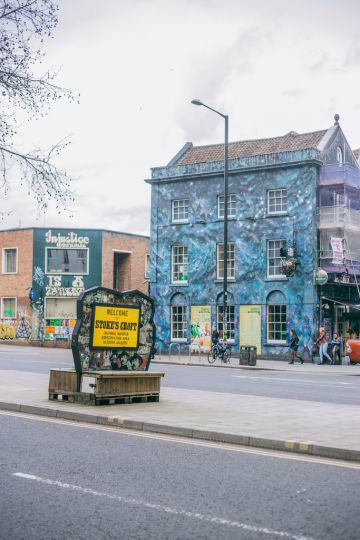 Bristol, if you don’t know, celebrates its arts community. The city itself has so much history and a rich past that so many people are politically charged in hopes to preserve it. 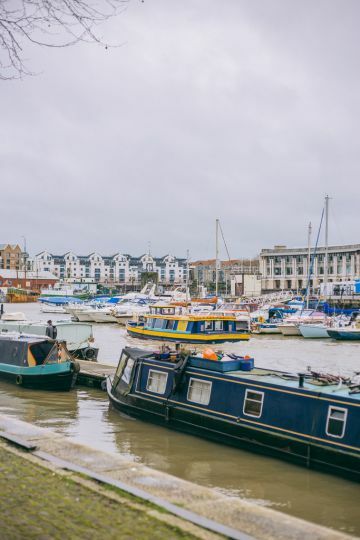 Venues including the Arnolfini, Spike Island and the Royal West of England Academy demonstrates Bristol’s modern economy built on creative media, electronic and aerospace industries. The city-center docks have today been redeveloped as centers of culture and heritage. 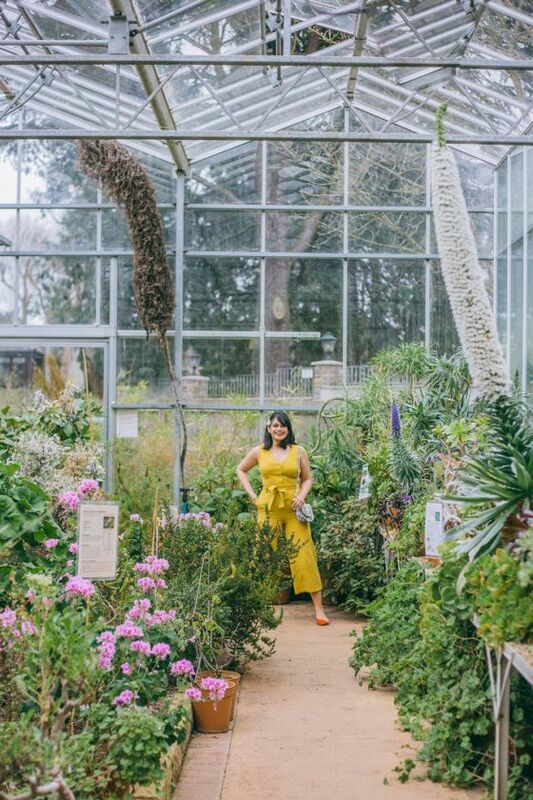 And with that said, I thought it was only appropriate to share my list of 10 best things to do in Bristol whether you’re there on business, weekend or an extended holiday! 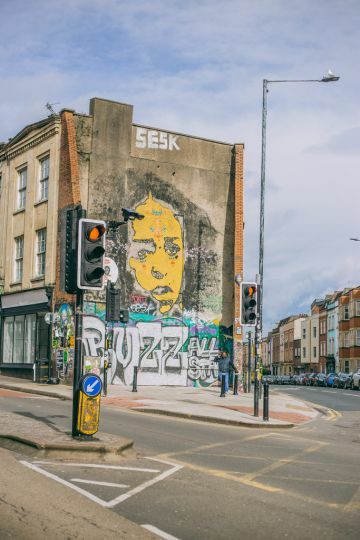 As mentioned, Bristol being the center of culture and heritage, the art scene is booming. When looking at the list of upcoming exhibitions, I couldn’t help but notice so many unique things coming to the city. 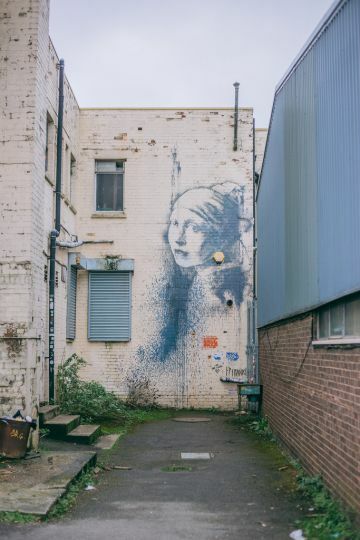 Banksy was actually born in Bristol in 1974 and was just an average kid on the streets. You will quickly notice that some of his earliest works can be found around the city! We ended up seeing just a couple, but ‘The Girl with the Pierced Eardrum’ was one of my favorites, which is a parody of Vermeer’s ‘The Girl with a Pearl Earring’. I do really wish we were able to make it here when the market was alive and thriving, but time didn’t let us and I guess it gives me an incentive to come back! Yet, that didn’t stop me from falling in love. 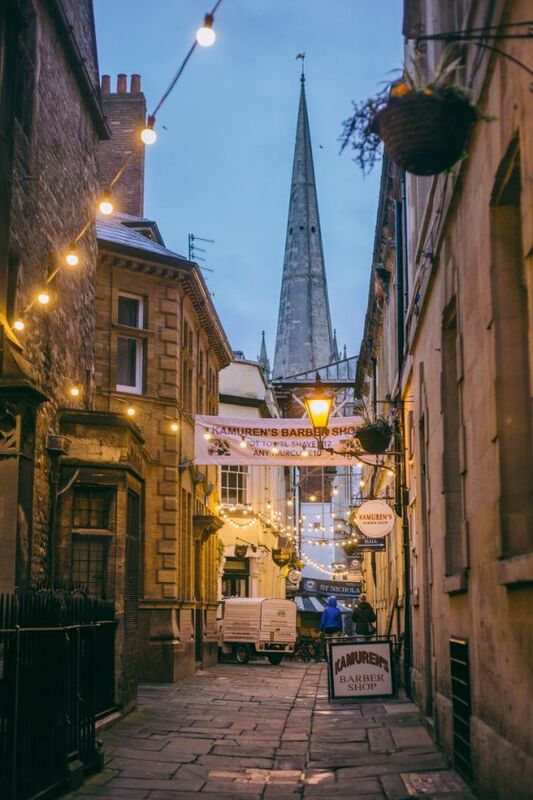 St. Nicholas Market is set in the more “old” or “historic” part of Bristol where streets become cobbled alleyways. The evening brings twinkling lights and only a few small shops and restaurants are open. Walking through these winding pathways is just so romantic as they’re just lit enough with fairy lights! 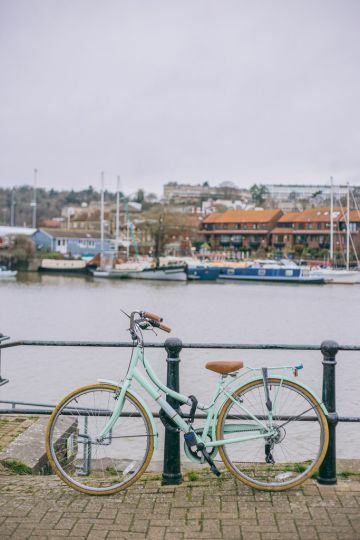 It’s one of the more magical things to do in Bristol! 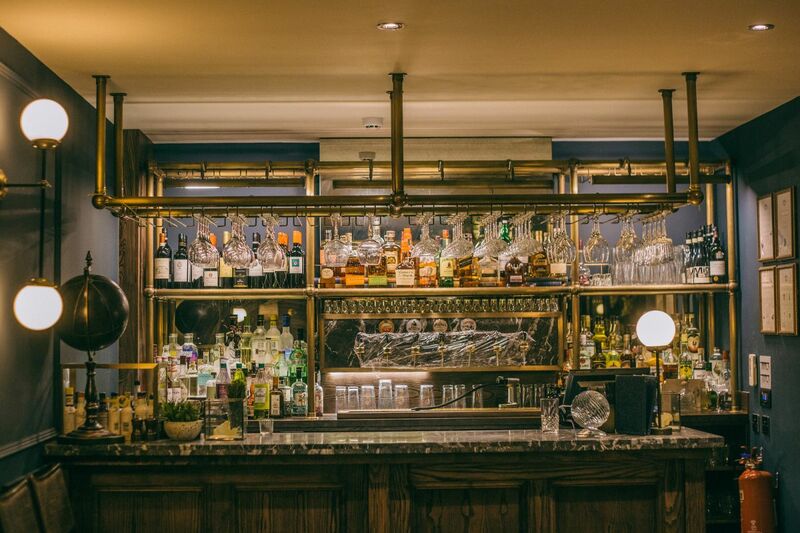 This is not a shameless plug because I wrote a hotel review of The Bristol Hotel. I genuinely think this place is the best to stay when you’re visiting Bristol. Be it for work or for fun, the hotel’s hospitality is one that is unparalleled. If you’re American, you’ll know I love some proper customer care and no place can top this. 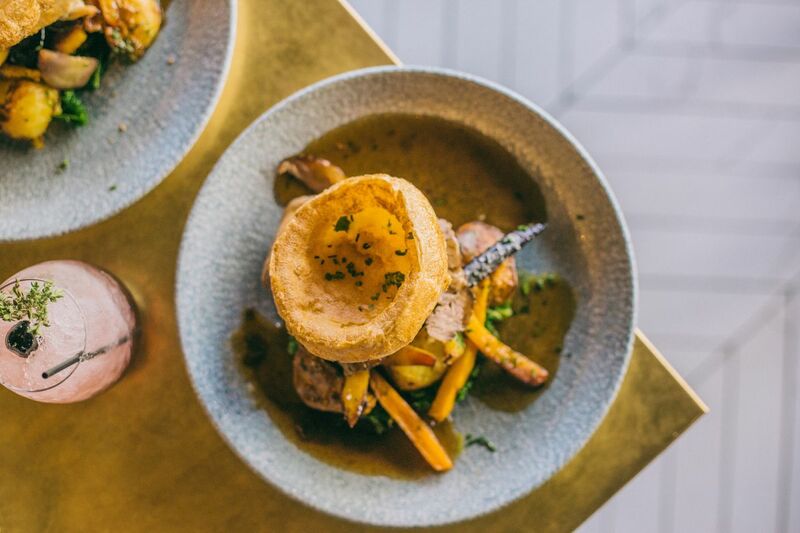 Ask for a room that faces harborside and be sure to have a meal at The River Grille! 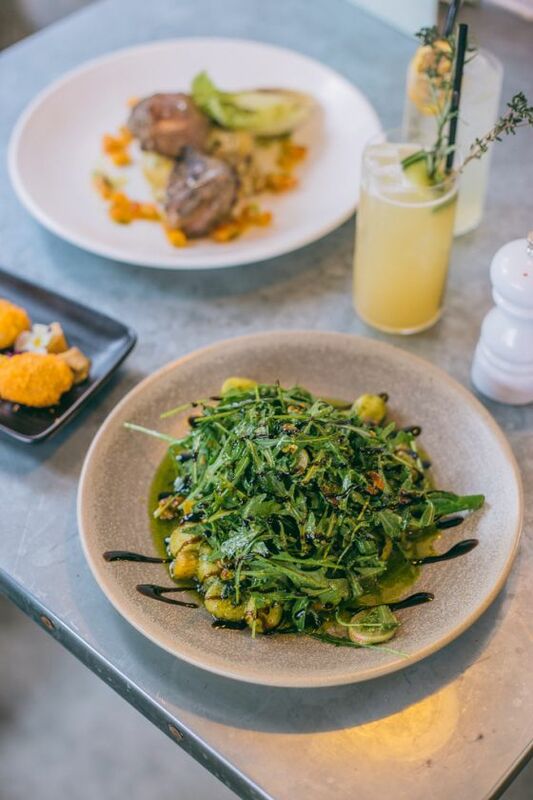 The restaurant is a must if you’re looking for foodie things to do in Bristol. 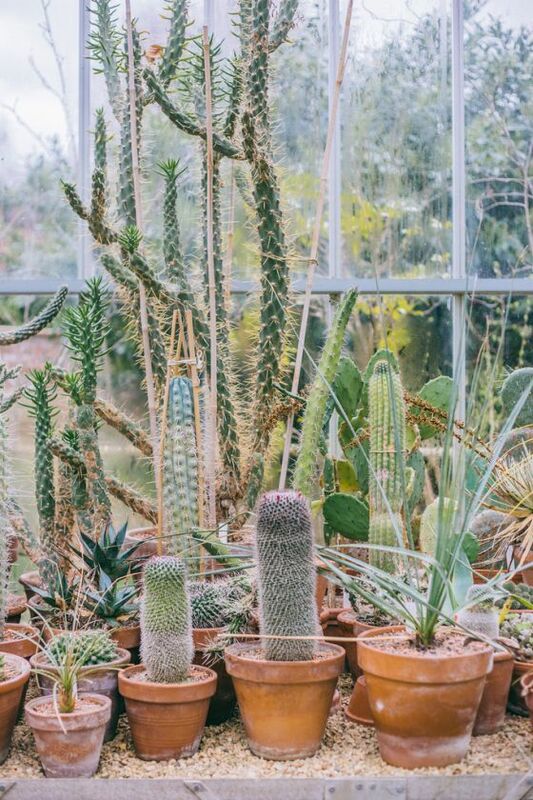 Even if it’s winter, you’ll get to see your best selection of flora and fauna! 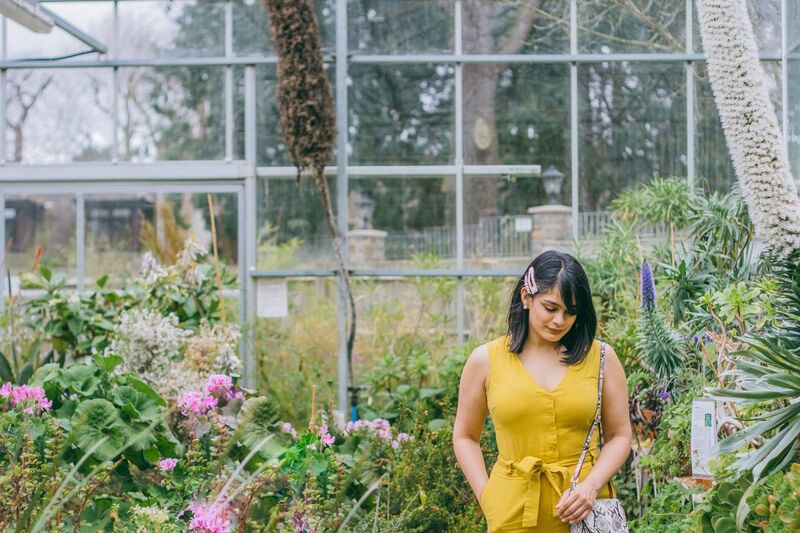 The second we stepped into the greenhouses, I couldn’t go back. 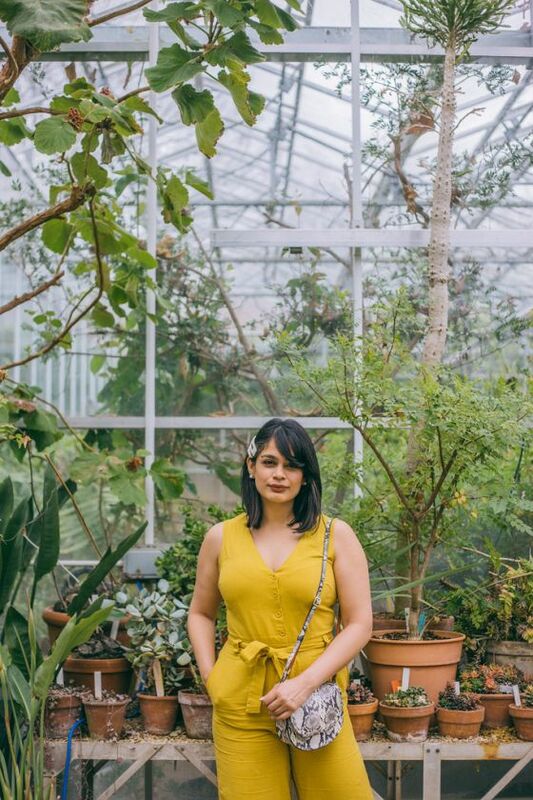 It was one of the most tranquil places I’ve visited and it made me feel like I was walking the streets of the Amazon rainforest or back in Sabah’s Natural Beauty! Nothing says Bristol like the Clifton Suspension Bridge in Bristol. 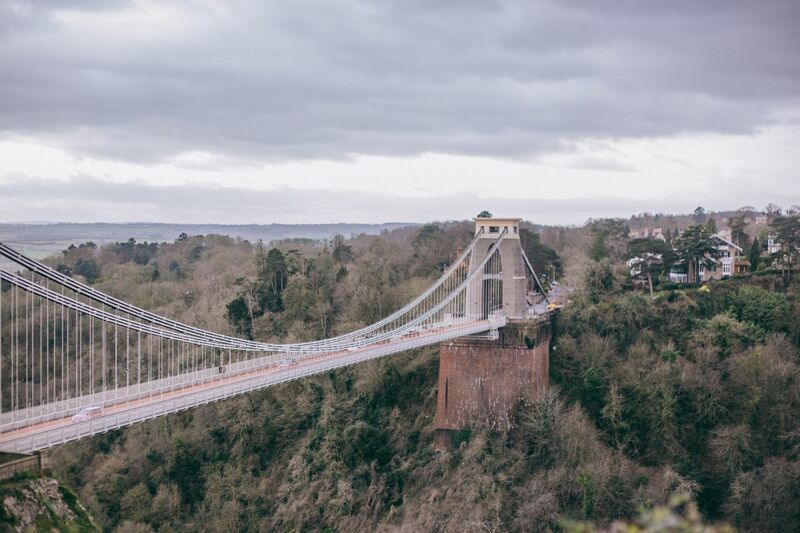 Spanning across Avon Gorge, for more than 150 years this Grade I listed structure has inspired so many to visit the city! If it’s too rainy or windy to walk across (like it was for us), then just enjoy the view from the Observatory! It is majestic even for those not really that fascinated by such structures! 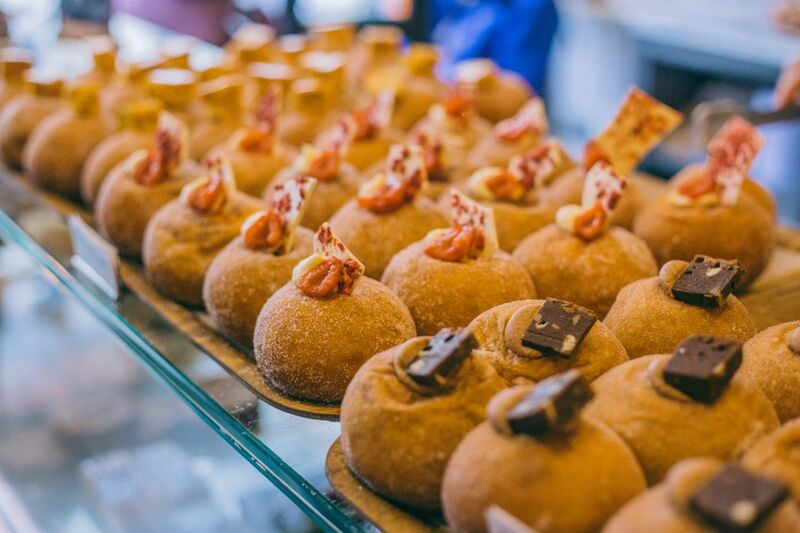 I always loved sweets and especially adored doughnuts, but the hype came from Jess and I couldn’t really believe that were that good. It wasn’t until we were sitting down and dug into them did I truly appreciate the art of the sour-dough-nuts! Mine was filled with honeycomb and jess chose raspberry and white chocolate! I may or may not regret not having a second or a third. They were like puffs of sugary clouds. 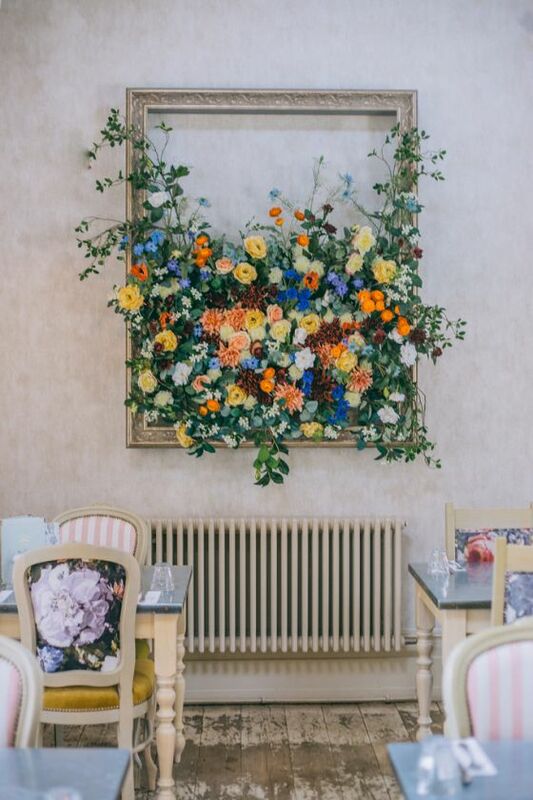 If you’re looking for a fun evening, you’ll notice that The Florist is a place that everything is happening. 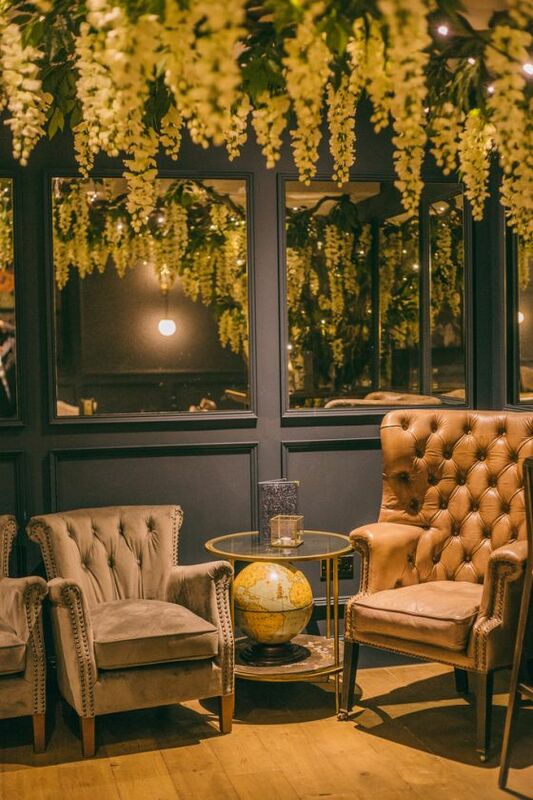 The Florist is a multi-story and multi-room restaurant and bar that serves up some of the best cocktails in town! 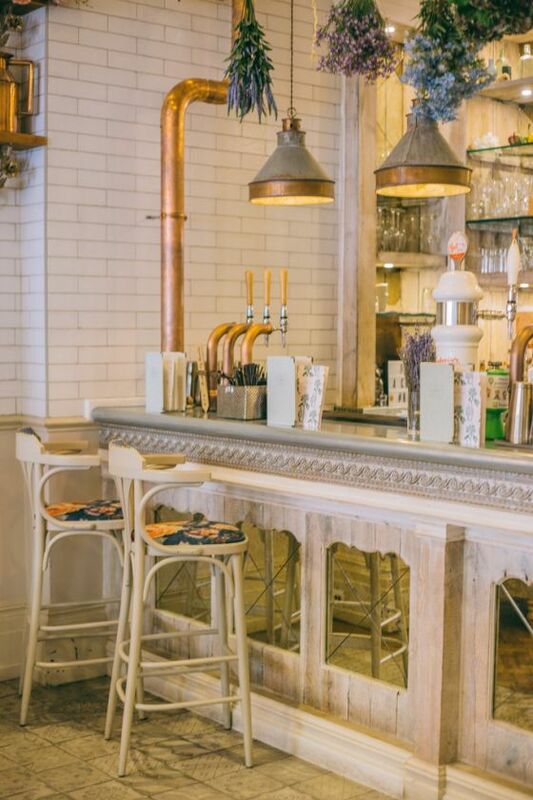 And if you’re not in for the alcohol, then try one of their refreshing mocktails instead! 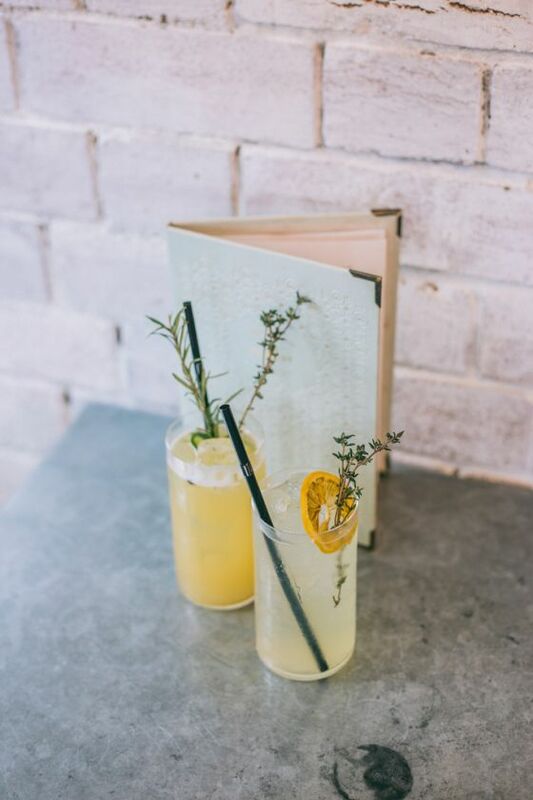 From gin to vodka, all the cocktails are served with gorgeous garnishes that lives up to its name. Try out either the Raspberry Rose Sour, Honey Blossom Julep, or Electric Daiquiri! Had a late night? Not too keen to start too early? 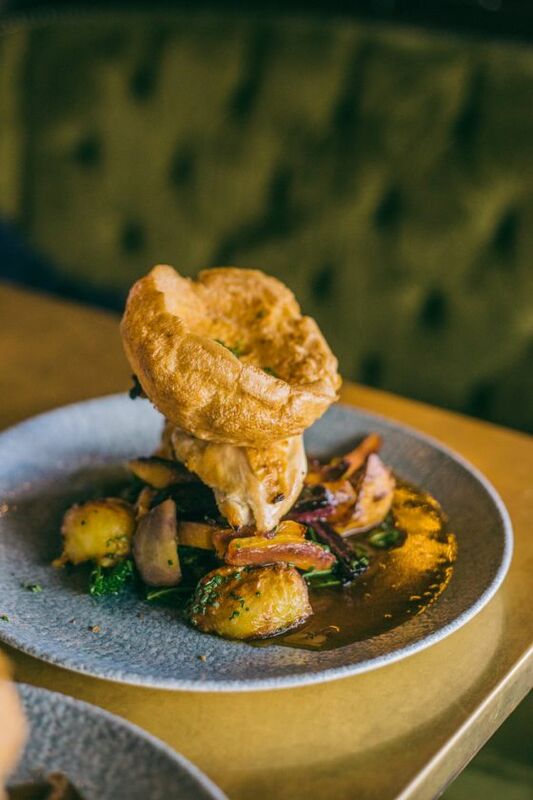 The Lost & Found has you covered for a lovely Sunday Roast that is served with all seasonal vegetables and not too intimidating list for everyone at the table! I went for the chicken and Jess went for the beef, but next time I’d go for the cauliflower! Which one would you choose? This is a must on my ‘things to do in Bristol’ list! 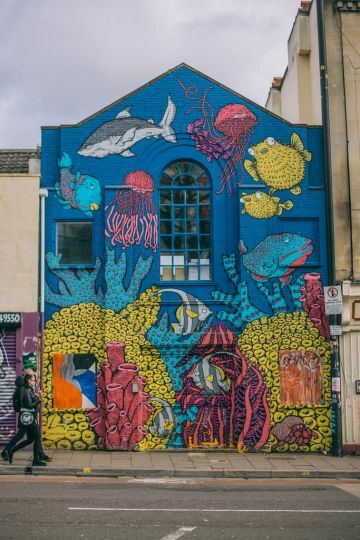 You know I’m basically the spokesperson for Notting Hill, so when I realized that Bristol was also home to a few streets of colorful houses I knew I had to go! Though an iconic part of the Bristol skyline, there’s no real reason why the houses are colorful. They are so beautiful though! The streets are lined with all types of pastel hues and it’s one that will leave you happy and peppy! Kind of going off the Banksy train, this entire street is full of impressive street art. From galaxy inspired to political charged, the fronts and sides of buildings are out of this world! If you’ve got time, then I suggest you sign up for a street tour. If not, then just walk down the streets and look for yourself! You can also end the walk in the area at one of the many charming cafes in the neighborhood too! Turns out that I have a decent amount of Bristolian’s following me! 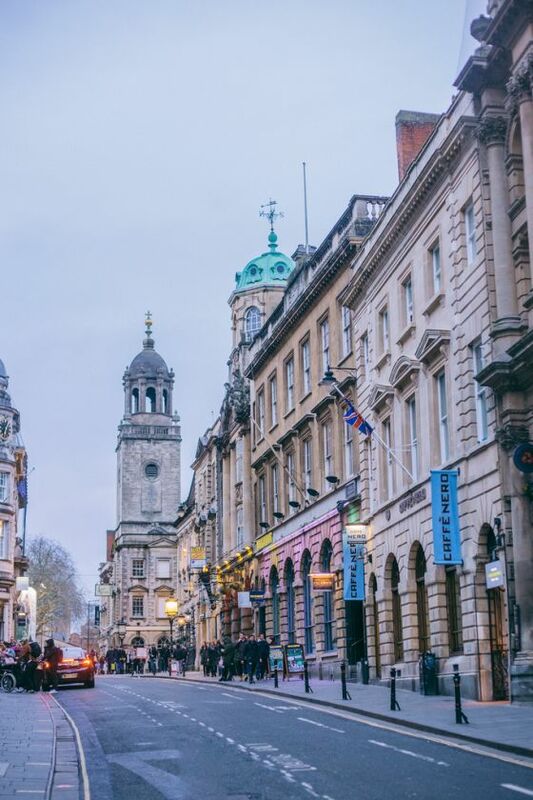 If you are one, or once lived in the city for uni or something, I’d love to know your list of things to do in Bristol. Otherwise, would you visit Bristol?